Last week, we rounded up a mix of our favorite East Nashville festivals, but it looks like a new event’s going to have to join the list. This May, East Park is hosting the inaugural Nashville Rosé Festival, and celebrating what’s apparently the millennial wine drinker’s rising favorite. A detail that got us particularly interested, too: All of the proceeds from the event will go to the Brentwood-based Tennessee Breast Cancer Coalition, an organization that focuses on aiding patients undergoing breast cancer treatment. Why just rosé, why now? A rosé-focused festival might seem a little specific, but it feels like an idea whose time has come. Love of wine, overall, has been on the rise for more than 20 years, but lighter, sweeter rosé in particular has been exploding in popularity — pushed along, according to some, as millennials came of drinking age, and as Instagram rose to prominence. By 2017, rosé sales had climbed a big, juicy 53 percent by volume, and by late last year, it was clearly growing faster than wine overall — particularly during the summer. T-shirts, posters and water bottles emblazoned with rosé praise — stuff like “rosé all day” and “Yes Way Rosé” — have become their own cottage industry, frozen wine-slushie “frosé” has become an omnipresent summer treat. And companies in other food corners are jumping in too — rosé lollipops are a thing, and Jeni’s Splendid Ice Creams just launched a Sangria-style rosé sorbet that you can snag now in their Nashville scoop shops. Here in America, we get a big part of the blame for rosé’s prominence — we only lag behind France in the race for most liters consumed. If you love rosé, all those popularity-rise details won’t surprise you much, and you probably didn’t need much encouragement to get in on the Nashville Rosé Festival. 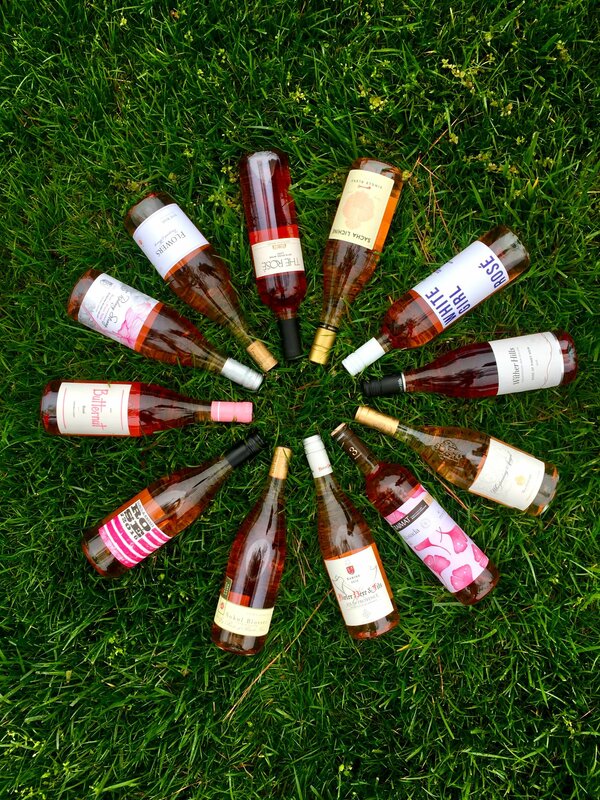 Over the course of the fest, set for Saturday, May 19, you’ll get to taste more than 70 rosé wines (including some limited bottles, set aside in a specialty tent). And since wine’s always best paired with food, there’ll be plenty of it: Creations Gardens is bringing a fire pit to the fest, where 300 pounds of food will be cooked by local/celeb chefs, who’ll also share tips and info and offer up samples. It being Nashville, naturally: plenty of live music is in the works too. If you’re not totally on board with all-day rosé, there’ll be other options, too, including beer and cocktails. Ready to rosé it up in East Nashville? 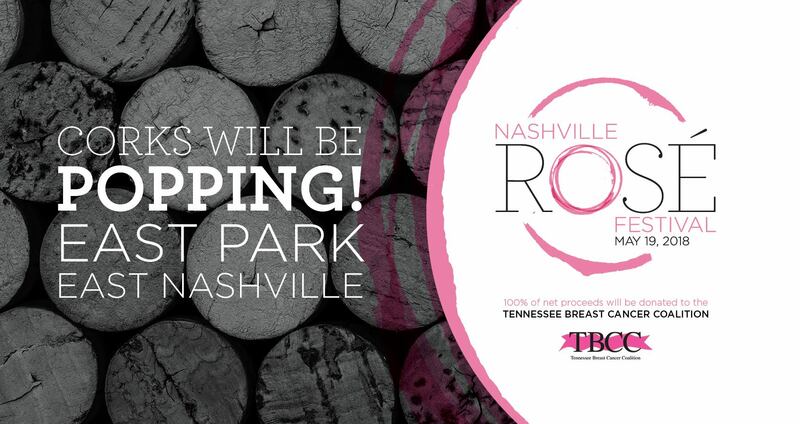 Early bird tickets for the Nashville Rosé Festival are on sale for $50 until April 16 (they’ll go up to $60), and VIP passes (which include VIP seating, a raw bar, private bathrooms and more) are available for $100. Nashville Rosé Festival ticket sales here. Lots more information at nashvillerosefestival.com, and updates at the Nashville Rosé Festival Facebook page. Related: If you’re looking for a home in the area, our historic East Nashville home listing, 1403 Woodland St., is just down the road from East Park, and a stunning property. Check out more here. Looking for something different in East Nashville, or elsewhere in Nashville? We’d love to help. Contact ACRE here.